So on Tuesday I decided to do some experimental cooking, try recipes that I have not only never tried before but probably wouldn’t even think of trying. So in the morning I made smoked salmon muffins, and in the evening I made lamb necks braised in red wine, I shall blog about the first of these two today. Smoked salmon is one of my favourite things, with cream cheese, with scrambled egg or on its own with a generous slug of lemon juice, so when I found this recipe, though taken aback by the thought of a savoury muffin I thought I had to try it. Adapted from a recipe found in a weight watchers magazine, makes approximately six, so if you or your family are anything like mine I’d double up this recipe, since we ate 5 between us in one day. From start to finish this takes about 20minutes so it’s a fantastically quick recipe. 1. Preheat the oven to 190C or 170C if you have a fan oven, and line a bun tray with silicone cases or grease and line with paper bun cases. 2. Sift the flour and bicarb into a bowl and season generously with black pepper and the herbs then toss the smoke salmon in and coat it in the dry mixture. In a separate bowl, mix the lemon, egg and milk together. Combine the wet and the dry, and mix together, finally add the cream cheese blend it into the mixture. 3. Spoon an even amount of mixture into the cases, be aware this will rise so don’t over fill. Place in pre heated oven and cook until golden. Either serve straight out of the oven when warm, cut in half and spread with cream cheese and a grinding of pepper, or if serving later warm a little and serve the same way. 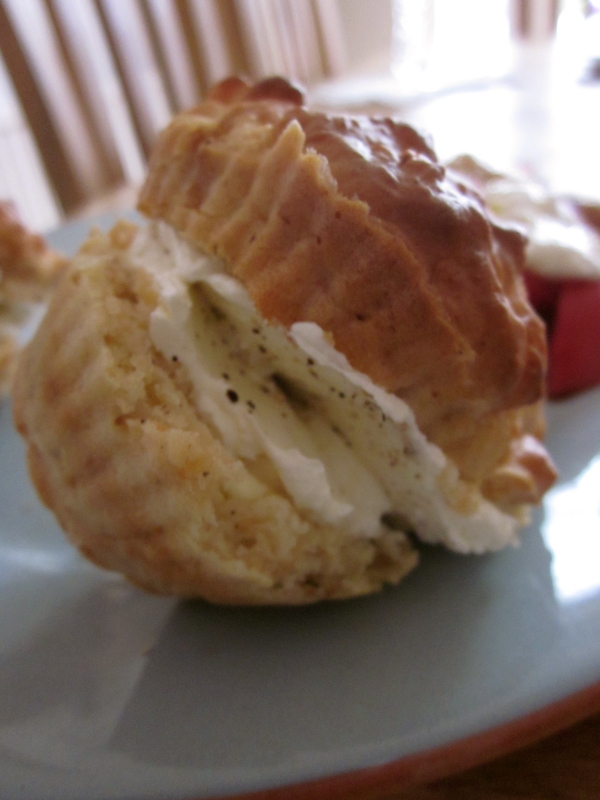 These are a fantastic bunch or lunch, light and fluffy and deliciously tasty. 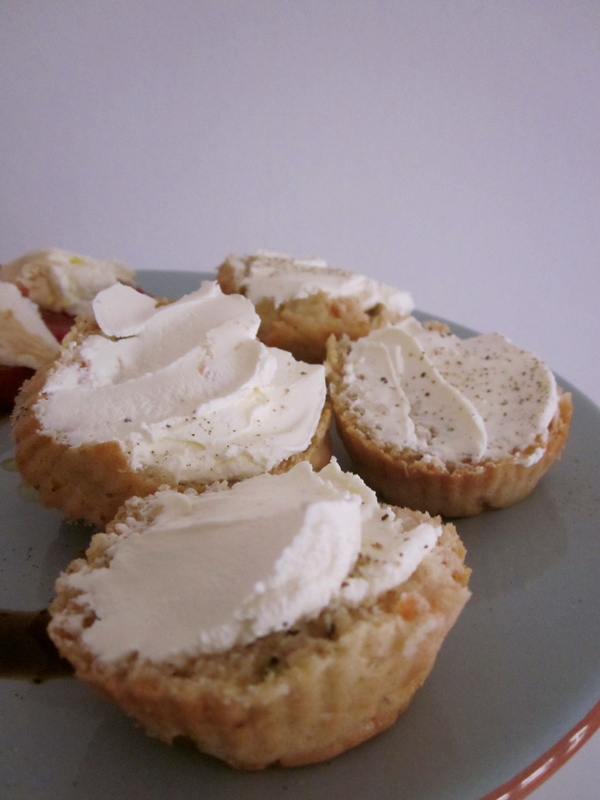 Finished muffins smeared with cream cheese and crushed black pepper. So last time I posted here over 20 months ago I made you a promise, to blog more, what I didn’t realise then was that the coming months would be a whirl wind of preparing for real life. Passing exams, applying to postgrad places, running off to interviews, drowning sorrows at rejections, re applying, passing more exams, writing a dissertation, attending more interviews, celebrating getting a post grad place, passing my degree and graduating! There is also a whole load of social stuff in there that I just don’t have time to manage. Now I write to you not as an undergraduate but as some one who has an MPhys from St Andrews and will soon be starting their PhD, not a great time to re start my blogging but when is? I’ve had a very long summer about 4 months and when I haven’t been jetting off around europe, nannying in Italy and exploring the alps in France, I’ve been at home in my village with not much to do, so I did what all good foodies do, and I’ve expanded my recipe list. I perfect some oldies and some favourites, learnt a whole new set of quick suppers and been very experimental, Smoked salmon muffins were a great surprise So I hope to blog my new set of quick suppers and give you the recipe for smoked salmon Muffins. Hopefully this time I wont let you down. 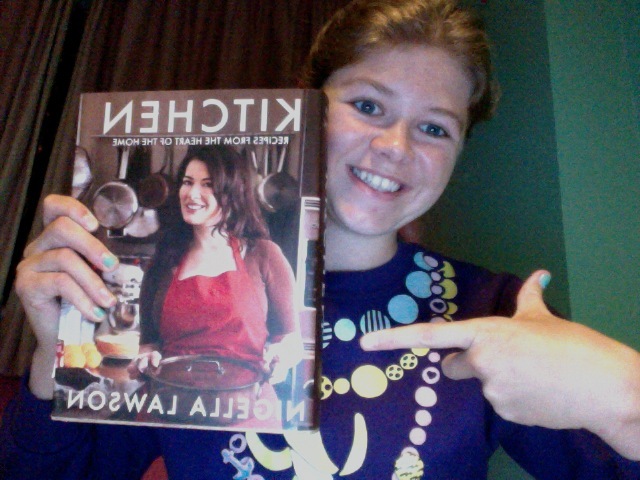 Oh and I got the best late birthday present ever off my parents, Nigella’s Kitchen book, it and Delia Smith’s complete cookery are my two food bibles, so expect adaptations and general posts about how amazing Nigella is, though DO NOT get me started on her tv shows. Me looking overly happy about the arrival of Nigella’s Kitchen!